This transfer company website design is contemporary and uses corporate colours. Developed in WordPress using a theme which I fully customised. The transfer company owner, Andy, now updates the site himself adding new prices and updated text each season. 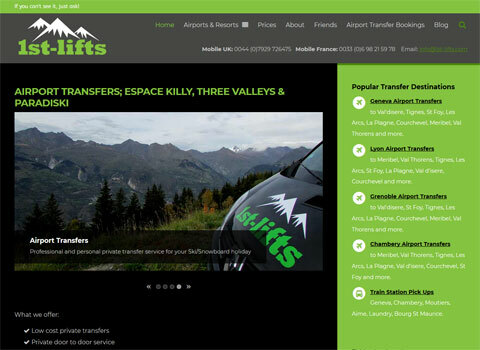 I wrote a number of blog posts for 1st Lifts to give them some traction on the search engines.